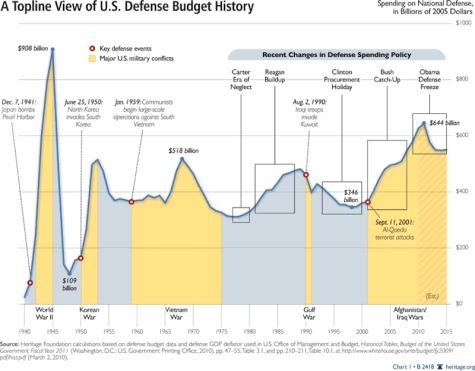 Even this graphic, prepared by the conservative Heritage Foundation, shows that US defense spending has not declined in historical terms, clearly implying that US military readiness is caused by bad decision-making, and not a lack of money. 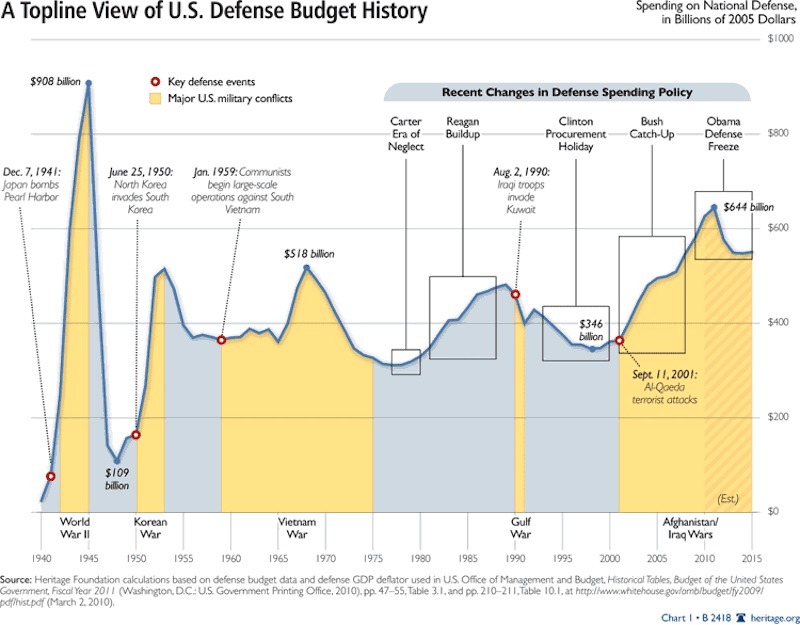 So, the next time someone suggests that the Pentagon needs yet more money for the troops, just remember that what they’re actually talking about are troops of overpaid defense contractors, not members of the armed forces. William D. Hartung is the director of the Arms and Security Project at the Center for International Policy and a fellow at the World Policy Institute.